"Women must try to do things as men have tried. " 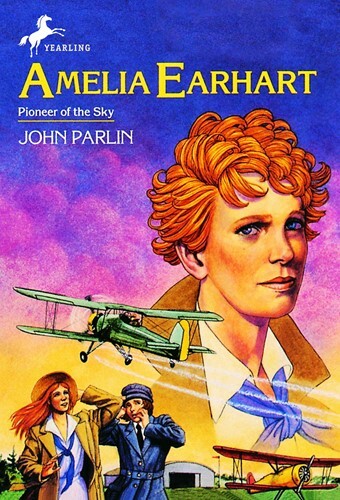 When she was eight years old, Amelia Earhart built a roller coaster and "flew" through the air. She loved to watch daredevil pilots fly loops in the sky. Amelia decided to pilot a plane herself, and became one of the first women to learn to fly. She broke flight records and in 1932 was the first woman to fly across the Atlantic Ocean alone. The whole world admired her courage and daring. Amelia Earhart disappeared while trying to set a new record flying all the way around the world at the equator, but her pioneer spirit inspired many others to follow in her path. From the Trade Paperback edition.